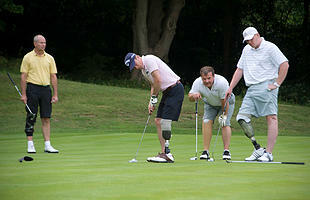 Bid to play golf with Luke Goddard. Before turning professional in 2009, Luke had a successful amateur career, winning the 2008 Argentine Amateur Open Championship and the 2009 English Amateur, and representing Great Britain and Ireland in the 2009 Walker Cup. Hendon Golf Club's Harry Colt designed 6,227 yards, Par 70 course with its tree lined rolling fairways, well guarded and manicured greens provides a true test of your golfing and course management skills.